Kuwait is one of the major oil producing countries in Middle-east area. There are lots of oil weil equipments ( such as pumps) need SKF Angular contact ball bearings to keep running reliably. Brass cage, 40° Contact angle. 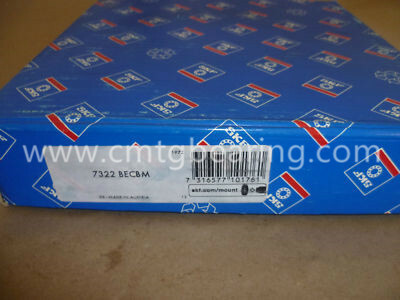 Our SKF 7322 BECBM Angular contact ball bearings are original Austria, brand new with factory packing. SKF 7322 BECBM are for universal matching mounted in random order; when arranged back-to-back or face-to-face the axial internal clearance will be Normal. For more information, please contact us.